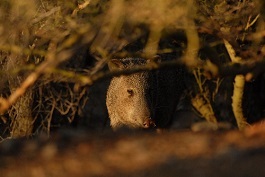 PHOENIX — Arizona hunters who were unsuccessful in the recent 2019 spring hunt draw still have an opportunity to receive a hunt permit-tag for turkey or javelina. The Arizona Game and Fish Department has posted a list of leftover hunt permit-tags on its website at www.azgfd.com/Hunting/Draw/. The department will begin accepting applications for leftover hunt permit-tags Monday, Nov. 19 – by mail only – at 5000 W. Carefree Highway, Phoenix, AZ 85086, Attn. : Draw/First Come. Allow 10 to 15 business days to receive a hunt permit-tag by mail. Leftover hunt permit-tags will be available for purchase on a “first come, first served” basis beginning Monday, Nov. 26, at all department offices.